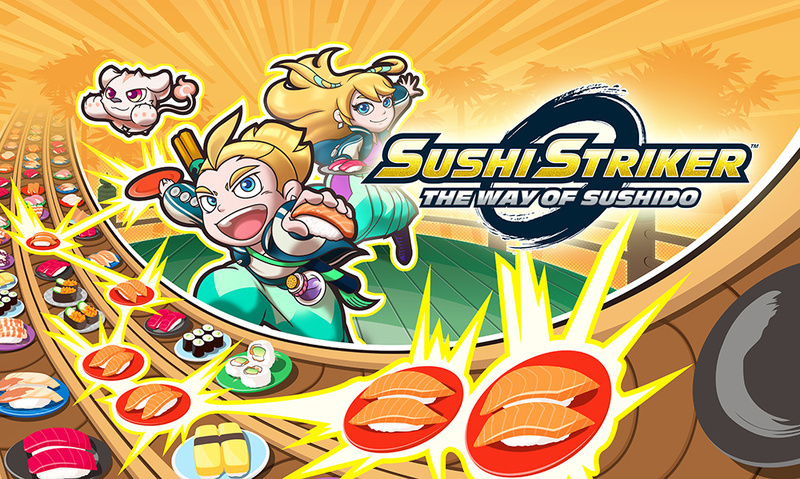 Nintendo saved a rather quirky reveal for day two of E3, with the Treehouse team unveiling Sushi Striker: The Way of Sushido for the 3DS; it's from the team behind NES Remix and is due in 2018. 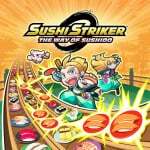 The basic concept is that of a puzzle-action game, as you take on an AI opponent to match plates and sushi types, making it a quickfire matching game. Controls are on the touchscreen, and naturally you want to work up combos and powerful moves; it's time pressured, too, as you have seven seconds to create and use a combo. There'll also be multiplayer in addition to the standard single player story. It's not entirely clear whether it'll be an eShop or retail game (Nintendo's official sites don't clarify as yet), but it's still relatively early in development. Do you like the look of this? Looks like it could be pretty fun for what it is. Ah, so THIS is what Retro's been working on. I'm not kidding that this game makes me want a 3DS. I've passed on portable since DS, and have only recently dipped my toes back in with the Switch, but this looks like some good fun. I'm just about laughing, which is not a bad thing. Doesn't really look like my sort of gameplay, but I totally approve of this game's existence. @Zyrac Agreed. I'm not interested in action puzzle games so this game isn't for me, but plenty of people are interested, and they deserve not only to have them, but have them well made, which this game appears to be. Not for me =/= low quality, and I'm tired of people who don't realize that. Looks really interesting. This and Metroid II might get me to dust off the old 3DS. I wouldn't bet this is the "last" 3DS announcement we still got tomorrow. First Monopoly and now this! It truly is a great time to be a gamer. Looks pretty charming tbh. I get the feeling it is an eshop game personally. Looks fun and quirky. Main character should be Musushi instead of Musashi though. Looks like a laugh - reminds me of the sort of thing you'd see in a Japanese arcade and throw a lot of yen into but would never be seen in the western world. @WiltonRoots very true. Seems to me like one of those smaller tabletop arcade boxes you'd see in a restaurant or small shop. I could be mistaken, but is this the first confirmed 2018 game for 3DS? No. We already have radiant Historia and Strange Journey Redux for 2018. The music in the trailer here was amazing. It had me dancing in my seat. I hope it's indicative of the game's soundtrack! I like puzzle-action games like this. Looks the gameplay is there, but seems a bit bland--this seems like an eShop game. But I'm sure it'll be a good game nonetheless. This actually does look pretty fun. @thesilverbrick I believe it's the first actual new game (so excluding localizations). Seems fun! I might pick this up if it has local and/or online. @moxiematt I know! I've been tempted several times over the past several years, but I keep fearing that the 3DS will just merge with the Switch in the near future. I guess the new 2DS XL should ease my fears. I am also a sucker for 2D Metroid! Nintendo stole the show at E3, then they felt guilty and gave some of it back. Nah I'm kidding, this game looks like it could be a lot of fun, albeit not a game I will likely buy. But the name sounds like a bad parody of Street Fighter: The Way of the Hado. @Pikachupwnage I should clarify. I was moreso asking if this was Nintendo's last first-party game on 3DS. It's the only one I believe they've announced for 2018. I'm just curious to see how long they plan on supporting the 3DS. It needs to go so that they can divert all their attention to Switch. It's a good thing I was already eating, because otherwise that would've made hungry. I don't think I have the reflexes for this, but it looks interesting. I think this will be a e-shop game. You with your Japanese username: You didn't get the wordplay? Bushido/Sushi? Since its about ninja's flinging Sushi at eachother? Makes sense (and now somebody tells me Bushido is Chinese or Korean, that's how it always goes)! "Sushido" means way of the sushi. The title actually says "The Way of the Way of Sushi". Kinda dumb.